The brilliant new novel from one of our most respected writers his most ambitious and accessible to date. On a January morning in 1913, G. H. Hardy eccentric, charismatic and, at thirty-seven, already considered the greatest British mathematician of his age receives in the mail a mysterious envelope covered with Indian stamps. Inside he finds a rambling letter from a self-professed mathematical genius who claims to be on the brink of solving the most important unsolved mathematical problem of all time. Some of his Cambridge colleagues dismiss the letter as a hoax, but Hardy becomes convinced that the Indian clerk who has written it Srinivasa Ramanujan deserves to be taken seriously. 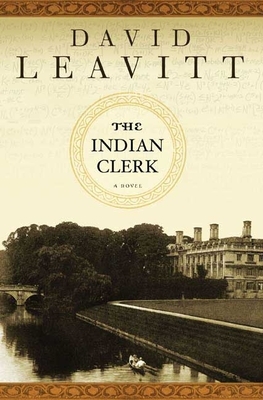 Aided by his collaborator, Littlewood, and a young don named Neville who is about to depart for Madras with his wife, Alice, he determines to learn more about the mysterious Ramanujan and, if possible, persuade him to come to Cambridge. It is a decision that will profoundly affect not only his own life, and that of his friends, but the entire history of mathematics. Based on the remarkable true story of the strange and ultimately tragic relationship between an esteemed British mathematician and an unknown and unschooled mathematical genius, and populated with such luminaries such as D. H. Lawrence, Bertrand Russell, and Ludwig Wittgenstein, "The Indian Clerk" takes this extraordinary slice of history and transforms it into an emotional and spell-binding story about the fragility of human connection and our need to find order in the world. David Leavitt is the author of several novels, including "The Body of Jonah Boyd," "While England Sleeps," and "Equal Affections." A recipient of fellowships from both the John Simon Guggenheim Foundation and the National Endowment for the Arts, he teaches at the University of Florida in Gainesville.